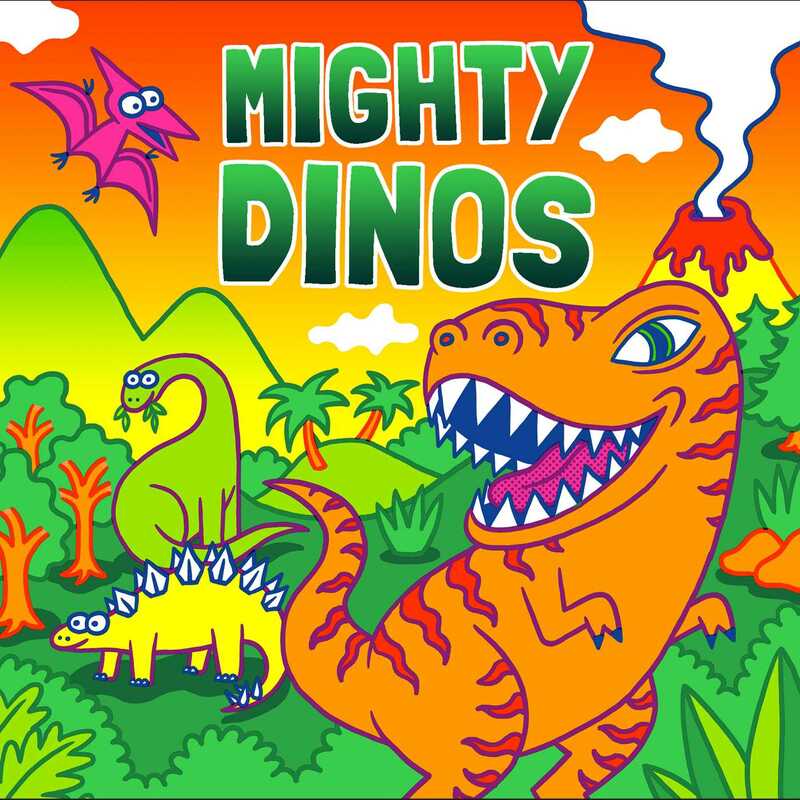 A unique board book with bright, fluorescent images of all sorts of dinos! Watch out for these huge dinos as they race, chomp, roar, and more! The dinos included are triceratops, stegosaurus, brontosaurus, ankylosaurus, and T. rex! The scenes are accompanied by simple, descriptive phrases on each page. With bright, fluorescent colors, this book is sure to catch children's and parents' eyes!